Puzzle platformer Flipping Death is now available in physical format for the Playstation 4 and Switch consoles throughout Europe, the Middle East, Australia and New Zealand. Developer Zoink Games partnered with publisher Rising Star Games to offer the physical releases. Physical copies will release in the Americas beginning Oct. 16, 2018. Flipping Death follows protagonist Penny who, after dying under mysterious circumstances, wakes up to find herself filling in for Death himself. 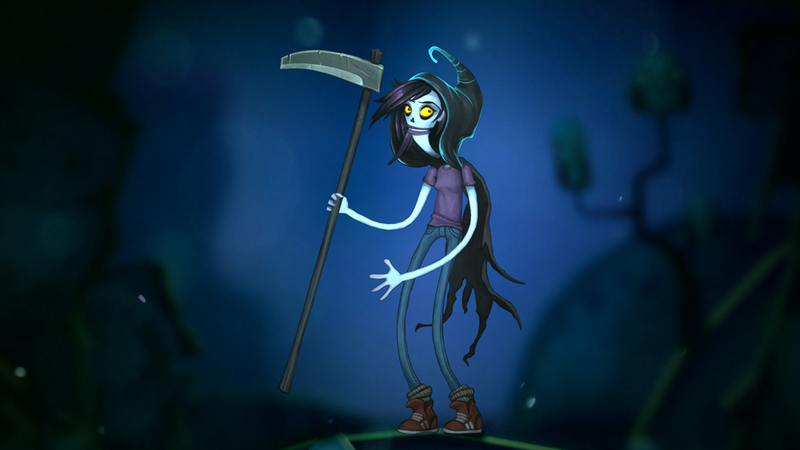 In her new part-time role as the Grim Reaper, Penny can flip between the worlds of the living and the dead, which she will need to do in order to unravel the mystery of her demise. Leap between platforms, solve puzzles and help the dead rest in peace by possessing the living to solve puzzles in this comedy adventure with writing by Eisner Award-winner Ryan North. Zoink Games is located in Gothenburg, Sweden. Their previous games include Stick It To The Man! and Fe. Previous Post:(18+) EROGE REVIEW: Trample on Schatten! !